Home / SkinCare / Emollin Emollient Spray. Emollin can be used for a wide range of skin conditions, because of its spray-on application and protection even for hard to reach areas, this helps Emollin be a major factor in your emollient choice. 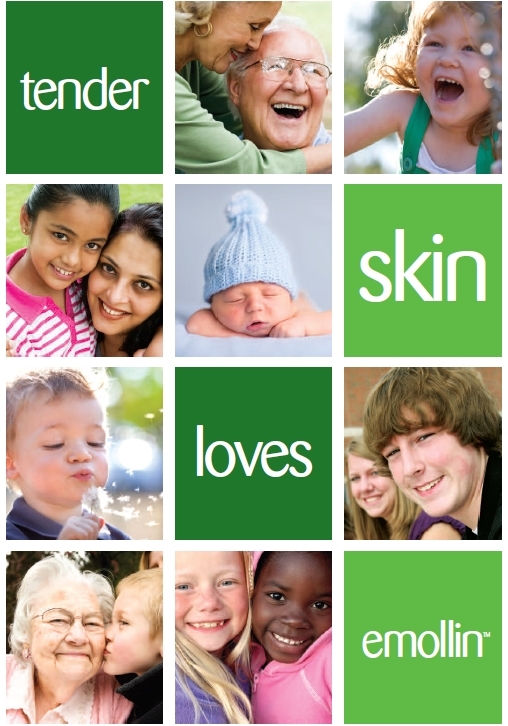 Many people suffer from tender, fragile or damaged skin leading to discomfort and unhappiness from their skin condition. Highly perfumed or chemical products can aggravate the skin, making your skin condition feel worse and not improve overtime. To provide comfort and assist improvement in their condition, proper protection of the skin is very important. Protecting tender skin is the most important step you can take, but applying an emollient by hand can lead to discomfort whilst being time-consuming and you also run the risk of introducing an infection. Emollin being ideal for tender skin, the spray-on emollient protects thoroughly, comfortably and conveniently. The gentle spray touches the skin leaving a protective film to create a barrier whilst soothing and providing essential moisture. Hard-to-reach areas of skin can be a problem when applying by hand, especially if the emollient is self-administered, Emollin’s sophisticated aerosol can be used in any position - even upside down - to reach and protect the most inaccessible areas. The emollient is held in a separate flexible container within the can, so it cannot mix with the propellant Flexible internal container and gives proper separates emollient from coverage at any propellant. angle - even upside down. Your Skin comfort comes first. Emollin has no cold propellants to upset patients and the applied emollient is entirely preservative-free to avoid triggering sensitisation. The emollient is always contained in the aerosol, so every fresh application is free from contaminants, minimising cross-infection. Emollin combines White Soft Paraffin BP and Liquid Paraffin BP for highly effective protection. Applying Emollin correctly is an easy and quick process from the directions stated. Great for those who want a quick application whilst also wanting to provide long lasting relief to their skin. • To give thorough protection over a wide area, Emollin must be sprayed at the correct distance from the patient’s skin. Spray the skin lightly from a distance of 15cm, applying a thin unbroken layer. • A towel can be used to protect surfaces, especially where a floor could become slippy. • Ideal for reaching awkward areas, Emollin can be used at any angle, even upside down. • Do not spray near or into the eyes. • Pressurised container - do not puncture, expose to temperatures above 50°C or incinerate even when empty. • Contents flammable, keep away from sources of ignition. • If any reaction occurs, stop using. • Keep out of reach of children. • Avoid spray getting onto hard floors. 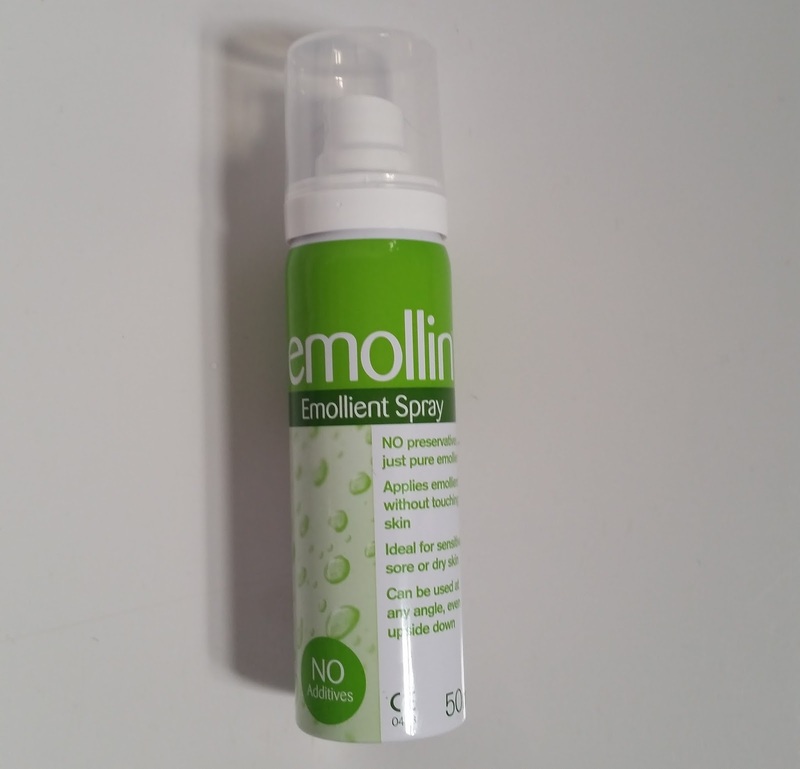 Emollin Emollient Spray really is a skincare product that works! Holding the spray can at 10-15 cm whilst pressing slightly on the spray head, releases the perfect amount of the product to apply a thin unbroken layer, There is no loud noise that you usually hear whilst using an aerosol can and there is no overwhelming fragrance. Emollin lightly veils your skin before being absorbed, leaving your skin soothed and perfectly moisturised. Your skin is not left greasy or sticky, which is great for using in the morning before getting dressed, or for evening use to contribute to a restful nights sleep. Using Emollin with its non-complicated ingredients can be a perfect skincare solution, compared to a product that's full to brim with preservatives. Sometimes you have to reach for a skin product that seems basic, but you know your skin will improve and thank you for it. Suffer with dry, sore, sensitive skin? Try Emollin, its your skincare saviour. X Neil.